The Baker Center for Science and Mathematics received the 2017 Livable Buildings Award from UC Berkeley’s Center for the Built Environment (CBE) for a sustainable design featuring high-quality work and study spaces. The award — the only building industry honor that includes feedback from occupants in its selection criteria — recognizes buildings that demonstrate exceptional performance in occupant satisfaction, resource efficiency and overall design. The award jury, which was composed of building industry professionals, noted the high marks that occupants gave the Baker Center on environmental factors such as acoustic quality and thermal comfort. Those scores put the Baker Center above the 90th percentile compared to other buildings for all categories, and in the 97th and 98th percentiles in overall workspace and overall building satisfaction, respectively. “It’s a beautiful building, and people really like being in this space,” one juror said. Read more here. The Dairy Judging Team won first place in oral reasons and fourth place overall in the All-American Dairy Show in Harrisburg, Pennsylvania. 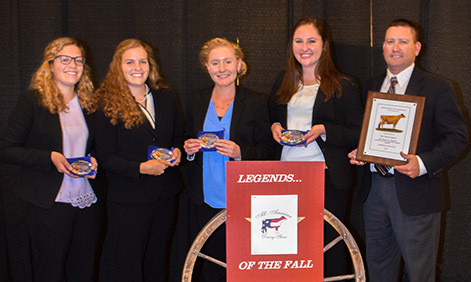 Fourteen teams representing the top dairy and animal science college programs throughout the nation competed in the Youth Judging Contest on Sept. 18. Four of the Cal Poly team’s 16 members competed: dairy science juniors Elise Regusci and Elisabeth Regusci, animal science major Hannah Neer, and dairy science major Alexandra Gambonini. Contestants judged 10 classes of cattle, then gave oral reasons on four or five of the classes depending on their division. The team’s individual placings included: Gambonini, first in Guernseys and fourth in Ayrshires, third in reasons and third overall; Elisabeth Regusci, fourth in reasons; Elise Regusci, fourth in Jerseys. The team placed first in Jerseys and second in Guernseys. Cal Poly’s dairy cattle judging team is coached by Dairy Science Professor Rich Silacci and assisted by retired Professor Stan Henderson. The students will compete in the largest national competition of its kind at the World Dairy Expo in Madison, Wisconsin on Oct. 2. Elena Morelos has been named director of academic employment in the Academic Personnel department, beginning Oct. 2. Morelos brings 21 years of organizational leadership and human resources experience to Cal Poly, primarily in the public sector, serving in progressively responsible roles in Santa Barbara County. 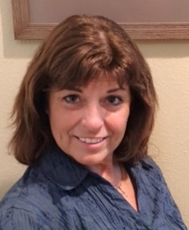 She most recently served as human resources manager for the Santa Barbara County Public Health Department and previously served in positions as the assistant director of administration for the Agricultural Commissioner and as the labor market information manager with the Job Training Network. Morelos holds an master's degree in leadership and management, and a bachelor's degree in business management, both from the University of La Verne. She will report to the vice provost for Academic Affairs and Personnel, Al Liddicoat, and will manage all aspects of academic employment and associated policy and contract interpretation and will supervise the staff team performing these functions. To support faculty, students and staff in their research and creative endeavors, the Office of Research and Economic Development has hired Kristine Johnson in the full-time position of technology transfer associate. Johnson began her career writing organic chemistry patents for Eli Lilly and Co. and as general counsel for a biotechnology start-up. Johnson, a registered patent attorney, has spent the majority of her 25-year career specializing in university technology transfer programs. She will work closely with Jim Dunning, director of Economic Development and Technology Transfer. They are on-campus resources in the management and commercialization of university intellectual property. Johnson can be reached at kjohn191@calpoly.edu or 805-858-8475. For more information on technology transfer at Cal Poly, go to https://research.calpoly.edu/content/technology-transfer. — 9:15 a.m.: Singh will present "Cradle-to-Cradle: The Value Proposition of Packaging." — 9:45 a.m.: Phelan will present "Obesity Epidemic: Lifestyle Interventions from Preconception to Postpartum." — 10:15 a.m.: Lin on "Ethics and Artificial Intelligence: The Big Picture." A reception will follow at 10:45 a.m. The CSU annual Open Enrollment period is underway, and Cal Poly Human Resources will host its annual Benefits and Wellness Fair from 10 a.m. to 1 p.m. Thursday, Sept. 28, in Chumash Auditorium. Come to the fair to learn more about your benefits and changes effective Jan. 1, 2018. Nearly 30 vendors are expected to attend, including representatives from various health plans, voluntary plans, on-campus and community resources, and local wellness companies. During Open Enrollment, eligible employees can enroll in or make changes to their benefit plans (health, dental, vision, FlexCash and voluntary benefits), and enroll or re-enroll in the Dependent Care Reimbursement Account (DCRA) and Health Care Reimbursement Account (HCRA) plans. Annual enrollment in HCRA and DCRA plans is not automatic. Open Enrollment is the time to enroll in MetLaw Legal plan, which provides many personal legal services for employees and their eligible dependents for $21.70 a month. New for 2018, you may enroll in Vision Service Premier Plan, which offers a higher level of benefits for lenses, contacts and frames than the current Basic Plan. For plan details and instructions on how to enroll, see the Human Resources Benefits Open Enrollment website. Enrollments and changes must be made no later than Oct. 6. The Office of University Diversity and Inclusion presents the first of two talks this quarter, titled “Diversity Ed Talks: Diversity and Inclusion Innovations in Academic Affairs.” The event will take place from noon to 1 p.m. Monday, Oct. 2, in UU 219. Inspired by "Ted Talks,” campus partners will present innovative ways they are engaging diversity and inclusion. Come learn about what departments are doing, how you can "plug in" and get involved! The Oct. 2 session will feature Cheryl May, administrative services director for Kennedy Library, and Jennifer Teramoto Pedrotti, associate dean for diversity and curriculum for the College of Liberal Arts. This event is open to all. Feel free to bring your lunch. Questions? Email diversity@calpoly.edu or call ext. 6-2250. Employee and Organization Development is offering a Fall Learning Circle focused on "Work-life Essentials: Mindfulness, Leadership, and Inclusion." Learning circles provide an opportunity to discuss brief, engaging and thought-provoking articles and videos over the course of a lunchtime session. Each session will focus on a unique aspect of work-life essentials, with a session on mindfulness, a session on leadership and a session on inclusion. Together we can learn how these essentials combine together in our work and lives. Participants are welcome to join one or all sessions for insightful and rich discussion. Participants will receive articles and videos in advance of the in-person discussions. View a full description and register to attend here. The Cal Poly Center for Innovation and Entrepreneurship (CIE) has developed a Faculty Fellows program, which supports full-time faculty members of any rank who are interested in bringing entrepreneurial thinking and action into their courses and co-curricular experiences for students. The CIE Faculty Fellows receive awards to help defray faculty time and costs associated with supporting and engaging students, colleagues and staff in the fellow’s discipline with the CIE student innovation and entrepreneurship programs, such as the Entrepreneurship Minor, Startup Weekend, Camp PolyHacks, Innovation Quest, the Hatchery, and the Accelerator. Each year, the CIE selects three Faculty Fellows from a pool of applicants. 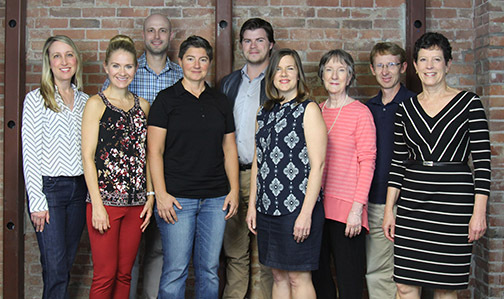 Over its five-year history, the CIE Faculty Fellows program has supported 16 faculty members, representing all six colleges. The CIE Faculty Fellows become part of an interdisciplinary community that shares an interest in innovation and entrepreneurship and is committed to inspiring the next generation of entrepreneurs. Applications close at 11:59 p.m. Thursday, Oct. 5. To apply, go to http://cie.calpoly.edu/learn/cie-fellows/apply/. All international travel conducted as Cal Poly business must go through the Cal Poly International Center. All international travel packets now must be completed and submitted electronically through https://abroad.calpoly.edu/ (select “International Travel”). 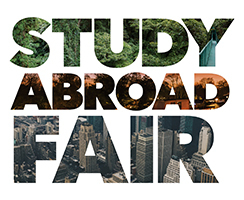 Note that there are new student fees and deadlines for non-Study Abroad international travel. Travelers must meet the required deadlines that are posted on the site in order to have their travel approved. The new online system allows the International Center to retain all information in one secure area, enhance travel safety, ensure compliance with CSU policies and procedures, and provide for rapid location and communication in the event of an emergency. Contact the International Center with questions or to request a workshop at intltrvl@calpoly.edu. The Federal Work-Study (FWS) Program is extremely limited and the fund is fully awarded. Regretfully, the Financial Aid Office is unable to make any new FWS awards during fall quarter. Earnings are monitored monthly, and depending on utilization, the office can sometimes move to its wait list in the winter or spring quarters. Students without work study should be advised to contact the Financial Aid office and ask if they can be added to the FWS wait list. There are specific criteria and not all students are eligible for FWS. Students (not employers) need to make the request and it can be done via e-mail (financialaid@calpoly.edu), phone (ext. 6-2927), fax (ext. 6-7243) or in person. The Financial Aid office is open from 8 a.m. to 5 p.m. Monday though Friday. Due to the limited funding, the wait list may or may not be activated in any given year. However, students on the wait-list who are otherwise eligible are given priority for FWS in the following year. Questions? Contact Barbara Rollins at ext. 6-6584 or brollins@calpoly.edu. Information Technology Services (ITS) will host two Office 365 Tips and Tricks sessions, from 2 to 3 p.m. Friday, Oct. 6, and 2 to 3 p.m. Tuesday, Oct. 10. Both sessions will take place in Kennedy Library (No. 35), Room 111B. The sessions will cover some best practices to save you time when using the Office 365 Calendar, a walk-through of new features that Microsoft has recently rolled out and time for questions. No RSVP is necessary. Anyone with questions can email office365-team@calpoly.edu. University Advising has scheduled the first of a two-part CliftonStrengths — formerly Strengths Quest — workshop series from 10 a.m. to noon Tuesday, Oct. 10, in the Science Building (No. 52), Room E46. In CS 100, you will discover your innate talents through reflective activities that equip you with the foundation to apply strengths with students. University Advising will also hold a CS 200-level workshop from 10 a.m. to noon, Tuesday, Oct. 17, in the Science Building, Room E28. During CS 200, you’ll interact with colleagues and explore ways to mentor, advise and teach students using CliftonStrengths. To register for the CS 100 workshop, click here. To register for the CS 200 workshop, click here. For more information about CliftonStrengths for Students, visit strengths.calpoly.edu and strengthsquest.com. If you have any questions, contact Shelly Wolf at scwolf@calpoly.edu or ext. 6-5709. Kennedy Library encourages instructors to place course-related materials on reserve early in fall quarter to ensure that all students have access to them, although requests are accepted at any time. Course Reserves give students easy access to library books, instructors’ personal book copies, and media materials such as DVDs, videotapes, slides, and audio recordings. Book excerpts and articles can also be made available electronically via PolyLearn. To use the Course Reserves program, complete the online submission form or use the online submission computer station at the Access Services department in Kennedy Library. Kennedy Library also provides support for instructors interested in adopting low-cost and freely available course resources, including library-licensed e-books and journal articles. Visit the Open and Affordable Resources Guide for more information. Are you new to faculty advising at Cal Poly? Would you like some information and support? Have you been advising for a while, and want a refresher? University Advising will offer a training workshop for undergraduate faculty advisors from 10:10 a.m. to noon Friday, Oct. 6, in the Science Building (No. 52), Room E48. The "Nuts and Bolts of Faculty Advising" workshop provides an overview of university policies, curriculum advising tools, the registration process, and the advising structure at Cal Poly. To register for this workshop, click here. Two additional Employment Equity Facilitator Workshops have been scheduled for fall quarter: from 2:30 to 4 p.m. Tuesday, Oct. 24; and 10 to 11:30 a.m. Thursday, Nov. 30. The workshops will be led by Brian Gnandt, director of Equal Opportunity, and Al Liddicoat, vice provost for Academic Affairs and Personnel. Representatives from Academic Personnel and Human Resources will be there to answer questions and provide information on the staff and faculty recruitment processes. All trainings will be held in the Equal Opportunity Conference Room in Fisher Science Hall (No. 33, Room 290). Visit http://equalopportunity.calpoly.edu/content/eef for more information. To enroll, contact Ethan Kuster at ekuster@calpoly.edu or ext. 6-7387. After 35 years of service to Cal Poly, Kimi Ikeda, chief operating officer for Information Technology Services (ITS) will retire Friday, Sept. 29. Ikeda’s career began as a work-study student employee in Athletics followed by various administrative roles in Administration and Finance (AFD). Most notable in her career was the assistance she provided to the CSU in establishing the housing management structure needed prior to the conveyance of property from the U.S. Army to CSU Monterey Bay. 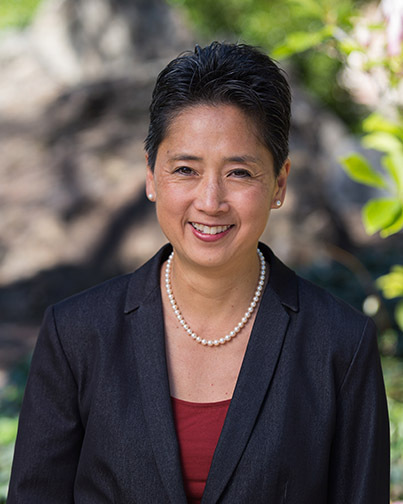 Ikeda moved to Academic Affairs in 1996, where she worked behind the scenes supporting numerous presentations to the legislature that ultimately resulted in Cal Poly’s ability to pursue campus based fees — the first being implemented in 1996. She has led many team efforts including the conversion and implementation of a new student administration system, and an earlier graduation initiative where the efforts resulted in notable increases in Cal Poly’s four, five and six-year graduation rates. For more than 30 years, Ikeda worked behind the scenes, where she likes to be, making a positive difference that has been felt by many. ITS will hold an ice cream social in Ikeda’s honor at the Cal Poly Plant Shop from 2 to 4 p.m. Friday, Sept. 29. The plant shop will be open for business as usual during that time. Jeffrey Porter, a network analyst in University Housing — Technology, has qualified for catastrophic leave. Those wishing to donate leave credits to help him remain in full-pay status during an extended leave of absence should contact catastrophic leave coordinator Dave Mason at ext. 6-6258 or dmason@calpoly.edu to request a donation form. Join STRIDE for its first monthly research seminar from 11 a.m. to noon Thursday, Sept. 28, in the Baker Center, (No. 180), Room 101. 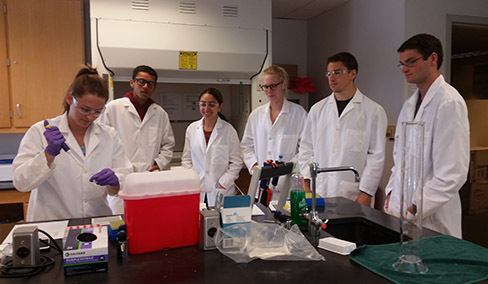 Undergraduate Frost Research Fellows will present results from their summer projects. Topics include: "Using Virtual Reality for Bystander Interventions," "Understanding Effects of BPA on Glucose Regulation," and "Validation of Physical Activity Measurement Technology." Anyone with questions can email Susan Staub at svstaub@calpoly.edu. 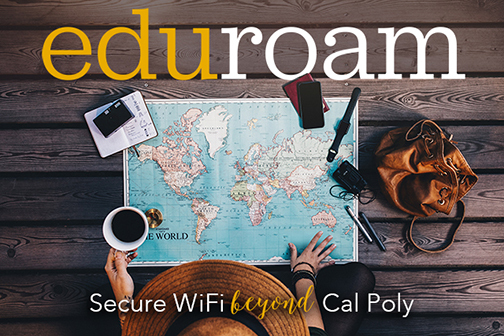 Cal Poly students, staff and faculty now have access to eduroam, a global wireless network that allows secure, easy access to Wi-Fi at thousands of participating higher education and research institutions. 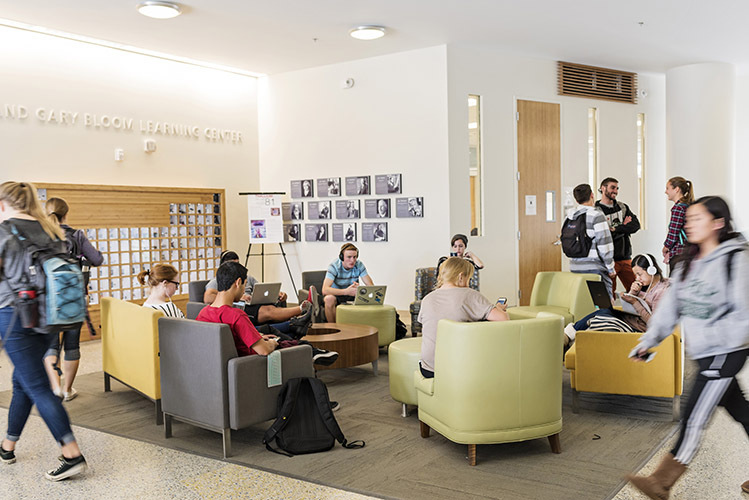 The network also allows students, faculty and staff visiting Cal Poly from participating institutions to access wireless on campus without having to go through the process of registering for guest Wi-Fi. All users have to do is find the eduroam network on a Wi-Fi enabled device and log in using a valid university username and password. Users with a calpoly.edu account will get the same level of access on campus as they do on Secure Mustang Wireless. Visiting eduroam users will have access to the internet only. In addition to Cal Poly, eduroam is available at thousands of locations in the U.S. and worldwide. For more information, contact the ITS Service Desk at servicedesk@calpoly.edu or ext. 6-7000. The Chicanx/Latinx Faculty Staff Association (CLFSA) will hold its 10th annual Fall Convocation from 4:30 to 6:30 p.m. Thursday, Sept. 28, in Chumash Auditorium (UU 207). The event is open to students, faculty and staff. To add your name to the email list for future notifications about meetings and events, contact Debra Valencia-Laver at dlvalenc@calpoly.edu. For more information, visit the CLFSA website or the group’s Facebook page. Cal Poly's Human Resources’ Talent Acquisition team will attend the Cal Poly Fall Career Fair from 9:30 a.m. to 4:30 p.m. Wednesday and Thursday, Sept. 27-28. The team will have information on all currently posted staff and management jobs, especially those of interest to graduates and those to soon graduate. For more details about the Fall Career Fair, visit the Career Services website. To view all current staff and management job openings, visit the Cal Poly Jobs website. If your department would like to participate at the Cal Poly Career Fair booth, contact Caroline Cerussi at ext. 6-5475. Join family, friends and neighbors at this annual countywide volunteer effort, which will be held from 9 a.m. to noon Saturday, Sept. 30. Cleaning the creeks helps protect wildlife and improves the beauty of San Luis Obispo County. Fall is an important time to remove trash before winter rains arrive and wash debris and trash into the ocean. Check in at one of seven locations throughout the county that morning. For more information, visit Cal Poly's Environmental Health and Safety website at https://afd.calpoly.edu/ehs/. The International Center will showcase its programs at the Study Abroad Fair from 10 a.m. to 2 p.m. Thursday, Sept. 28, on Dexter Lawn. Explore the variety of study abroad opportunities available — with more than 400 programs in 75 countries. Hear from former study aboard students who will be on hand to share their experiences, and learn how to make a study-abroad experience a reality. Study Abroad programs can range in length from a spring break trip to a year. Students return home with an excellent education, broadened communication skills, a new perspective on culture and a willingness to learn. These intangible skills are highly valued by employers and can help graduates compete in a global market. The Women's and Gender Studies Department will host a Queer Studies Minor Launch Party from 4:10 to 5:30 p.m. Wednesday, Oct. 4, in the Kennedy Library Atrium (No. 35). Everyone on campus is invited to celebrate the new minor with desserts and light refreshments. The reception is free and open to the public. For more information, visit the Women's and Gender Studies Department website or email wgs@calpoly.edu. At the end of spring quarter, several departments within the Dean of Students office and Student Academic Services exchanged office spaces. In addition, Parent and Family Programs and Commencement joined the Dean of Students department. Science Building (No. 52): Center for Service in Action, Men and Masculinity, and the Veterans Success Center. University Union (No. 65): Center for Leadership, Club Sports, Cross Cultural Centers (MultiCultural Center, Pride Center, and Gender Equity Center), Safer, and Student Clubs and Organizations. In addition, Fraternity and Sorority Life is now located in the Smith Alumni and Conference Center (No. 28). For updated individual office locations in the Hillcrest Building, please refer to the Cal Poly Directory. Student Academic Services departments now located in the Science Building include all Educational Opportunity Program counselors, the Cal Poly Scholars program, the office of SAS Assistant Director Mardel Baldwin, and the administrative office of Judy Holloway and Angela Marino. Phone numbers remain the same. The Statistics Department provides a statistical consulting service to the university community to facilitate research design and data analysis in a wide variety of disciplines. Consulting will be available through Friday, Dec. 1, by appointment only. The consulting service is intended to support faculty and staff projects and research, and provide assistance for students working on senior projects and graduate research. Jeff Sklar will serve as the consultant. He is available to advise on data collection, experimental design and analysis of research projects. In addition, he will be available to lead seminars or tutorials on requested topics and offer advice on various computer packages currently available at Cal Poly. Faculty, staff and students interested in utilizing the consulting service are encouraged to access the Statistics Department website for additional information, including what the client should bring to a consulting session. If there is a special area of statistical inference that is of interest to a group or department, or to schedule a consultation, email statconsulting@calpoly.edu. The Performing Arts Center is proud to present a performance by the Poetic Justice Project at 6 p.m. Saturday, Sept. 30, in the PAC Pavilion. The Poetic Justice Project advances social justice by engaging formerly incarcerated people in the creation of original theater that examines crime, punishment and redemption. Recommended for adult audiences, this performance is free and open to the public. A brief period for audience questions will follow. The event is sponsored by Performing Arts Center Outreach Services. A free hip-hop dance workshop presented by Versa-Style Dance Ensemble will be held in the Performing Arts Center plaza at 3 p.m. Sunday, Oct. 1. 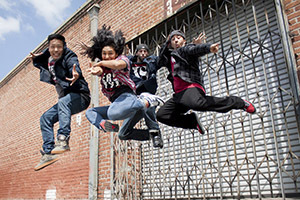 Empowering youth through the movement and culture of hip-hop dance, Versa-Style’s goal is to give young would-be artists the pipeline to fulfill their passion in the dance community and to educate our audiences on the positivity and roots of hip-hop culture. All ages are welcome, and no prior dance experience is required. The event is presented by Performing Arts Center Outreach Services and Cal Poly Arts. A screening of Kyle Salazar's award-winning documentary “The Vervet Forest” will take place at 1:30 p.m. Tuesday, Oct. 3, in the Advanced Technology Laboratories (No. 7), Room 2. A discussion with the director will follow. Salazar is an ethnographic filmmaker and poet. He combines Hollywood cinema storytelling techniques with the mindset of a traveller assimilating into new cultures. “The Vervet Forest” tells the story of five orphaned vervet monkeys in South Africa and the detrimental effects of habitat destruction. The film aims to create an understanding of human impact and the connection between ourselves and the environment. For more information, contact Nicole Rivera at ext. 6-1205 or nriver10@calpoly.edu. Those wanting to learn about music business, marketing, songwriting and more are invited to attend a Music Department presentation at 11:10 a.m. Thursday, Oct. 5, in Room 218 of the Davidson Music Center (No. 45) on campus. Mike Annuzzi, a 2009 graduate of the Music Department, will guide a discussion on career development in all aspects of the music industry. 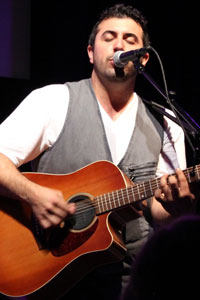 Annuzzi is a Silicon Valley-based music professional who has performed more than 1,000 shows in the past five years and visits the Central Coast regularly. He was a featured artist at the 2017 NAMM (National Association of Music Merchants) convention at the Anaheim Convention Center. He recently launched Music Accelerator, a blog-cast website that offers support to music professionals and aspiring professionals. In Paso Robles, he spoke on a panel for CC Music-Con (Central Coast Music Convention) on the topic of music distribution. The free presentation is open to Cal Poly students and members of the campus community. It is sponsored by the Music Department. For more information, call the Music Department at ext. 6-2406. Cal Poly’s MultiCultural Center will celebrate 20 years of CultureFest from 10 a.m. to 5 p.m. Saturday, Oct. 14, in the UU Plaza. The free, family-friendly event is designed to promote cultural awareness and inclusivity to the communities of Cal Poly and San Luis Obispo. Throughout the day, various Cal Poly cultural clubs will sell ethnic foods, hold performances and participate in games. The celebration also includes a bounce house, ball pit, music, arts and guest speakers. The 20th anniversary theme is “Happy ReBirthday, CultureFest!” Organizers hope the theme serves to initiate and represent a social rebirth throughout the community. For more information, contact Raha Haghnia or Crystal Van at culturefest2017@gmail.com, go online here or visit the event's Facebook page. The Music Department's next new season event is set for Oct. 28, when Scott Glysson, Cal Poly’s new director of choral activities and vocal studies, will conduct the Cal Poly Choirs in a concert titled “Reflections on Life and Love” at 8 p.m. in Mission San Luis Obispo. On Dec. 3, Jeff Midkiff, a nationally active soloist and composer, will perform his Concerto for Mandolin and Orchestra, “From the Blue Ridge” with the Cal Poly Symphony at 8 p.m. in the Performing Arts Center’s Christopher Cohan Center. The concert, titled “Music from the New World,” features works that draw on America’s diverse musical traditions. Additional fall events include: Nov. 4 — Arab Music Ensemble Fall Concert; Nov. 12 — Bandfest 2017: Earth; Dec. 1 — Fall Jazz Concert; and Dec. 2 — Choirs’ Holiday Kaleidoscope (two performances). The department will ring in the new year in with a solo piano recital by W. Terrence Spiller on Jan. 12, and Bach Week Jan. 16-20. 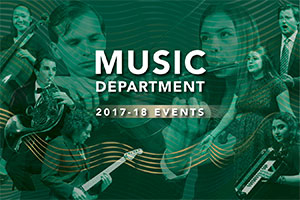 The complete list of events for the 2017-18 season, which runs through June —including free offerings — is available on the Music Department’s calendar website. For more information, call ext. 6-2406 or email the department. Printed versions of the event brochure are available on request. Tickets are on sale at the Cal Poly Ticket Office, ext. 6-4849. To find out what’s going on at Cal Poly, visit the Events Calendar. The site includes community events that are open to the public and Campus Life events open to students, faculty and staff. A link from the calendar allows staff, faculty and students to check facility availability before requesting and reserving on-campus locations for activities and events. For more information about publishing an event on the calendar, contact events@calpoly.edu, or visit the university scheduling page. The new Events Calendar replaced the Cal Poly News Events Index. For complete schedule and ticketing information, visit the websites for Cal Poly Arts or the Performing Arts Center. Women’s Swimming and Diving vs. Washington State, Anderson Aquatic Center, 6:30 p.m. Swimming and Diving vs. California, Anderson Aquatic Center, 11 a.m.
Women’s Soccer vs. UC Irvine, Spanos Stadium, 7 p.m.
Men’s Swimming and Diving vs. USC, Anderson Aquatic Center, 11 a.m.
Men’s Soccer vs. Cal State Fullerton, Spanos Stadium, 7 p.m.
Women’s Soccer vs. UC Riverside, Spanos Stadium, noon. Swimming and Diving hosts Green vs. Gold Meet, Anderson Aquatic Center, 10 a.m.
#104618 — Production Assistant (Administrative Support Assistant II), College of Liberal Arts — Cal Poly Arts. $14.65-$24.24 per hour. Anticipated hiring range: $14.65-$18.50 per hour. Temporary, through June 30, 2018. Open until filled. Review begins Oct. 5. #104594 — Administrative Support Coordinator I, College of Liberal Arts — Theatre and Dance Department. $2,846 to $4,711 per month. Anticipated hiring range: $2,846 to $3,131 per month. Open until filled. Review begins Oct. 5. #104627 — Graphic Designer II, Student Affairs — Alumni Relations. $3,717-$6,155 per month. Open until filled. Review begins Oct. 10. #104619 — Facility Controls Engineer (Facilities Control Specialist), Facility Services. $5,370-$6,807 per month. Open until filled.